There was, once upon a time, a serious plan to bring a Metroid movie to the silver screen. With John Woo directing. Seemed like a good idea at the time, but various things conspired to sink the project, chief among them Nintendo itself. As former producer Brad Foxhoven tells IGN, while Nintendo at first surprisingly gave its blessing to the project - being big John Woo fans, apparently — the company was also aware of how badly it could be burned when Hollywood takes liberties with its characters. "Nintendo was definitely discouraged by [Super Mario Bros.], but felt that with John [Woo] they would be in better hands," Foxhoven told IGN. "The challenge for us was that it felt that the biggest lesson Nintendo learned from Mario was to hold onto their rights even tighter, limiting collaboration when it came to translating Metroid to the big screen. Our entire development time was spent exploring the Metroid world, and what we could — and couldn't — do within it." The biggest of these problems concerned Samus' back-story, which the producers would need to explore if they were making a movie about her. "What are they doing when they are NOT fighting? What is their daily existence and relationships? ", he adds. 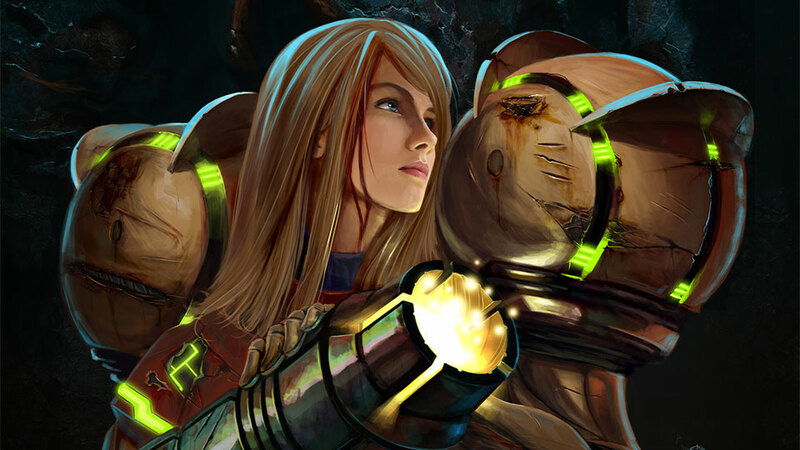 "What are Samus's aspirations, history, and fears? Nintendo appreciated the questions, but had never thought about them before, and ultimately didn't have a lot of answers. In the end, they felt uncomfortable with our team being the ones to propose those answers." The Metroid movie project eventually fell apart in 2007, with Nintendo and Team Ninja doing their own Samus back-story in Metroid: Other M for the Wii. So who do we blame for them ruining Metroid in general with Other M? How bout all 3 of them? Considering the important roles the rest of the instrumental scenario designers, character designers, directors and producers have played in developing the conceptual IP of Metroid, it's really a shame Sakamoto is often given all of the credit and the reins for the series. I don't understand the hate for Other M. I quite liked it. I hated Other M because it took a strong, independent female character and put her in this bizarre submissive self-destructive relationship. Not to mention the wooden, monotonous voice acting, frustrating pixel hunt sequences, (in my opinion at least) awkward control scheme, and the almost complete absence of the key feature of the Metroid series: exploration. I find it disconcerting to see Kotaku using that fan art in the header without crediting the artist. I understand you're basically in the business of lifting content from other sites, but it loses all semblance of reasonable professionalism when you're not crediting sources. At first glance I figured it been ripped from Deviant art. But its quite possible that its game concept art. Having said that, if its indeed fan art by someone in the general public then yes. This is a legal issue and kotaku could be in hot water if they're ripping images they have not purchased or permission to use them. Transfuse may or may not be happy about this. Kotaku doesnt seem to grasp crediting artists work when they didn't get permission to use it so will do it for them. I am kinda glad there is no movie. Metroid is made by its atmosphere, not it's story. It would hard to put the unknown and eerie atmosphere in the movie. I wonder why if they wanted to make a movie they would want to focus on back story? Surely a movie with almost no speech, following samus closley through her journey through Super Metroid, focusing heavily on music (which was already great) environment, (which could be made amazing with today's CG) and the mood of being stranded and alone would have been great! I get the feeling a Metroid movie will probably end up too much like Alien when it's all said and done. I have to say, the fact Nintendo felt uncomfortable with allowing the producers to create certain areas of her back story was a smart move that pleases me, Hollywood has this little habit of ruining any movie based on a game/cartoon/comic franchise. As soon as I hear a director or producer say, "We think we have created something that appeals to people that don't know about the games, but will please the fans also", all I hear is, "We read the synopsis on Wikipedia and decided to change everything, but we put a few nods to fans that should piss them right off".